Final call for applications for 2017 ART021 Main Galleries and APPROACH sectors. 2017 ART021 Shanghai Contemporary Art Fair will take place on November 9-12, 2017 at Shanghai Exhibition Center. This year will mark the fifth anniversary of ART021. The 2017 edition will continue on its previous success and will once again present a prestigious line-up of galleries and art organizations, offering the most celebrated art festival from Shanghai. ART021 is currently accepting applications for Main Galleries and APPROACH. Main Galleries is the main sector of the fair, focusing on 21st century contemporary art. APPROACH is the sector featuring either solo presentations or projects with a curatorial approach. 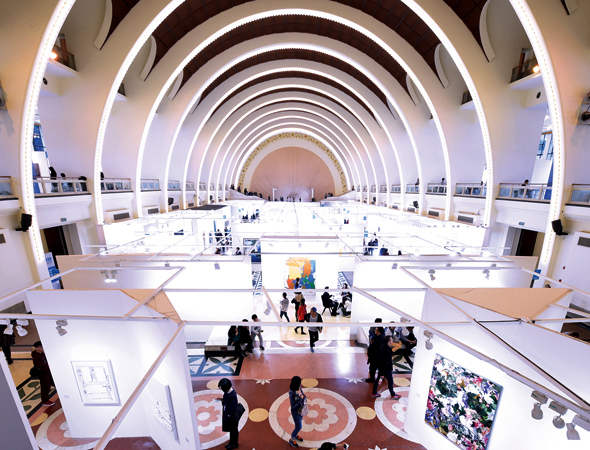 Founded in 2013, ART021 Shanghai Contemporary Art Fair is a sanctioned project of the Shanghai International Arts Festival. ART021 brings together the top galleries, institutions, artists and their works from around the world, aiming at building a professional platform for galleries, institutions, collectors and sponsors.